A sample of the stock I have been preparing for the Lynbrook Xmas market this Thursday. Really looking forward to getting to showcase some of the OzToymaker’s original and unique range. It includes 9 amazing dollhouses, money boxes, LEGO displays and storage, crayon holders and many other items that will make awesome Xmas presents and stocking fillers! When did machine construction go wrong? Normally when you buy a lathe (or drill press), you look at the features, make your choice and that is it- they are the features your tool will have for the remainder of its life. You normally would expect those features to be static, ‘locked in’ as it were. Fundamental things like torque, but also the operator interface as well, preset speeds, how you can change speeds, safety features (such as chisel dig-in detection) etc. Not so with a DVR lathe from Teknatool. I was not aware of it, but there was an older version of the DVR lathe that didn’t have some features of the current machines, and an owner of an older one could be left wishing their machine had more of the features of the current machine. 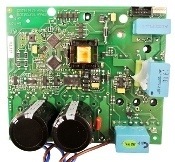 Instead of replacing the lathe with a newer model, a DVR owner can simply upgrade the control board to get the higher torque, the safety features and the variable speed selection by replacing the “plug’n’play” computer control board. Not that I need to at the moment, as my DVR lathe has all the current features, but it is great to know that if (or rather when), Teknatool come up with smarter ways to implement the onboard DVR technology, and add software improvements (as well), that existing owners are not left behind. They can choose to purchase the upgraded control board. That is a pretty cool concept! Have Teknatool given any indication of a release date for the new drill press? It’s also strange that Carbatec are selling the Powermatic range in Australia but not the drill press, the only one comparable to the proposed Teknatool product. No, but as the motor on my drill press smoked itself yesterday (literally), I will be sure to ask! After some research it is interesting to note that both Powermatic and Jettools are owned by the same Swiss company Walter Meier AG, perhaps that is why the Powermatic PM2800B drill press is not available in Australia, preferring to sell the Jet JDP2800VS? who knows? Think it is more the choice of the local importer – if it was an issue for Walter Meier AG, I would assume they would not have produced two similar products in the first place. Interesting to know that – there was an obvious close relationship between the two brands. Enter your email address to subscribe to Stu's Shed and receive notifications of new posts by email.